Education is the key to personal fulfilment, development, conservation, peace and well-being. Through education, young people can find new ways to build commitment and strengthen action in favour of preserving our cultural and natural heritage. Their efforts will benefit not only the present generation but also the generations of the future. World Heritage Education advocates the reaffirmation of identity, mutual respect, dialogue, unity in diversity, solidarity and a positive interaction among the cultures of the world. 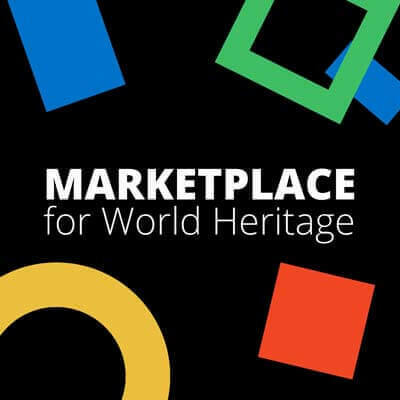 Developed in 1998, the World Heritage in Young Hands Educational Resource Kit (hereafter referred as KIT) for secondary school teachers is one of the main tools of the World Heritage Education programme. Since its publication, the KIT has been warmly welcomed by the States Parties and been translated into 37 national language versions. The KIT is based on an interdisciplinary approach seeking to involve teachers across curricula in raising awareness of young people of the importance of World Heritage. It strives to incorporate World Heritage into the curriculum as a way of delivering core subjects and transverse themes in the classroom as well as through extra-curricular activities. It focuses on creative and participatory methods of teaching, involving students in research, in collecting and analyzing data, in role-playing and simulation exercises, in information and communication technology, and in taking part in well-planned field trips. While the KIT has been used in practice by teachers and heritage specialists throughout the world, it is high time that the KIT be reviewed and updated to adapt the new era, under the circumstances of the rapid development of ICT technologies in education, the new trends and challenges faced by the preservation and conservation of World Heritage within the framework of 2030 agenda set by the United Nations. Complete a comprehensive update of the current version of the KIT through close consultation with the State Parties, under the framework of 2030 UN Sustainable Development Goals. Develop a more user-friendly, accessible tool for teachers from all regions through multiple formats (DVD, books, Apps and online-courses), which will build the capacity of the teachers and enable the interested students to learn autonomously. The updated version of KIT widely applied in the primary and middle school of the State Parties would make the World Heritage become a more recognized subject and included in the curricula progressively. Teachers’s capacity in the World Heritage Education will be reinforced through the using of KIT. The multiple format of the KIT will benefit specially the students from Post-conflicts and Post disaster areas as an important tool for self-learning, which will contribute to more active engagement and participation for the protection, preservation and promotion of World Heritage sites. UNESCO is committed to empowering youth and ensuring that their voices are heard. The Organization is guided in this by an Operational Strategy on Youth (2014-2021). Through this project, we are encouraging the active participation of youth, and the integration of youth concerns and issues into the awareness-raising activities carried out under the World Heritage Education Programme. An estimated overall extrabudgetary funding of USD 300,000 is needed for the implementation of this activity. These funds will cover needs assessment, content preparation, the development of the Applications and online-courses as well as the coordination fee for the overall work on administrative and technical support.